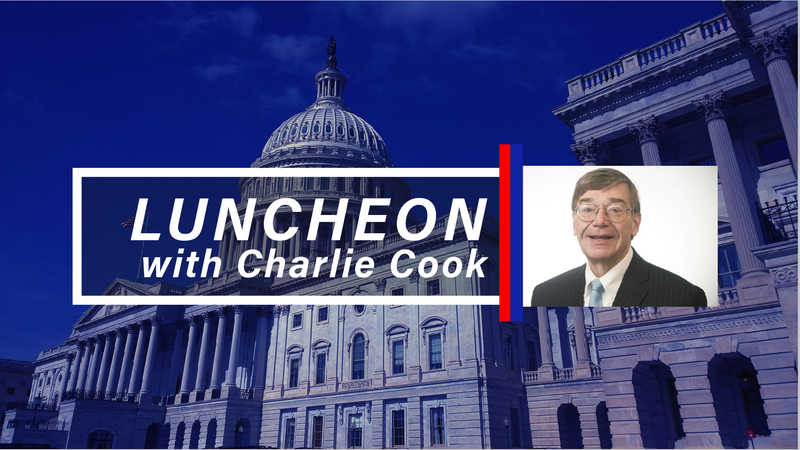 On October 12, Charlie Cook of The Cook Political Report will offer his analysis ahead of the 2018 U.S. mid-term elections at a luncheon hosted by the Council of American Ambassadors, the U.S. Association of Former Members of Congress and the Army and Navy Club on Farragut Square. Over the years, Charlie Cook has served as an Election Night analyst for CBS, CNN and on the NBC News Election Night Decision Desk in New York. The Cook Political Report has been called "the Bible of the political community by CBS News' Bob Schieffer and "the Picasso of election analysis" by Al Hunt in the Wall Street Journal. The luncheon will take place from 12:00 - 2:00 p.m. at the Army and Navy Club on Farragut Square.